In 1949, bebop legend Charlie Parker wanted a change. After years of intensive one-nighters playing jazz, Parker wanted to record an album of ballads but support it with a string section. It was a creative risk to take at the time, but Parker did have the support of producer Norman Granz who recorded most of Bird’s best sides for the Verve label. His choice wasn't as revolutionary as the music he and Dizzy Gillespie and Thelonious Monk were playing, but it was unexpected. Could a hard bopping jazz player merge the discipline of his music with "legit" string arrangements? What would his audience think? The result was Bird with Strings (Verve), six standards recorded by Norman Granz and released in 1950. It was a hit, so a second volume followed it up later in the year. Since that day, major jazz musicians have made records with an orchestra or string section supporting their performance. Clifford Brown, Wynton Marsalis and Stan Getz, to name three, have all taken up the challenge with mixed results. In many ways Parker broke down the stigma and chauvinism of the so-called legit players who looked down on jazz as a poor man's game with no artistic value. Fortunately, the public knew better and easily accepted the notion that a hard-bopping innovator such as Charlie Parker could play ballads with an orchestra and not sound corny or wimpy in the process. 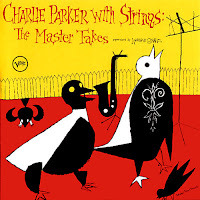 Charlie Parker with Strings on CD continues to be one of the most popular and best selling albums in jazz. 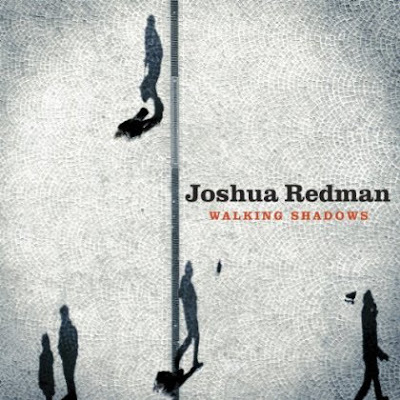 Which brings us to a new release by Joshua Redman called Walking Shadows (Nonesuch), released May 7, and produced by long-time associate Brad Mehldau who also plays piano on the record along with Brian Blade, drums and Larry Grenadier, bass. Now willing to take a calculated risk, Redman has wisely surrounded himself with musicians he first booked in his quartet over twenty years ago. The result is an introspective album of standards and contemporary pop songs adapted for jazz quartet and orchestra. 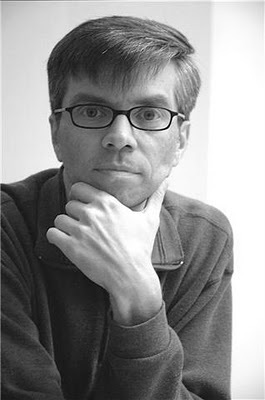 Six of the 12 tracks feature a studio orchestra conducted by Dan Coleman featuring arrangements by Coleman, Mehldau and Patrick Zimmerli. But these tracks are the least interesting part of the album to my ears, suffering from under-recording that left me mystified as to why they were included among the performances. The orchestra sounds uninspired and cautious rather than strong, dynamic and supportive, more of an afterthought than an equal partner in collaboration, the quality that makes albums such as Parker’s or Clifford Brown’s memorable. That said, the other six tracks do have their merits as Redman weaves his way through the music in an adventurous and tuneful way. These tracks, with just the rhythm section, sound cohesive and inspired as if we're being let in on a musical secret. The music becomes more intimate and personal as if it was only recorded for one person: you. That's difficult to pull off with inexperienced players who can get too technical in their performance or push borders they have no business crossing. But for Joshua Redman, now a seasoned musician at age 44, the timing of this record is perfect because it captures a man old enough to express himself yet young enough to grow as an artist. Consequently, the unadorned tracks stand out for their simple arrangements and subtle colours. Redman is especially poignant on "Doll is Mine," a slower version of the mid-tempo track by the New York Alt-rockers Blond Redhead. This arrangement offers up a blues-like feel based on the original chords, but without being too clever. Another successful interpretation is heard on John Mayer's "Stop This Train," a song about the loss of his father and his familial roots. Redman captures the melody with great feel in spite of its limited musical line. 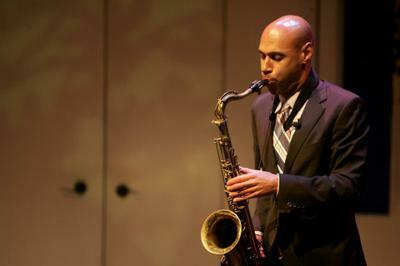 What he has done is remembered the lyrics, as Dexter Gordon used to say, and played them as a wordless vocal. Lennon & McCartney's "Let It Be" gets a careful, spiritual study. It's always remarkable to me how easily jazz musicians get the gospel spirit of this song. It's almost as if they're drawn to it intuitively. This arrangement, like the other pop songs on the record, is not sophisticated or pretentious. Mehldau and Redman have a great sensitivity to the music and offer up a refined and beautifully played version of the song that breaks into a funky groove as the band plays out. Walking Shadows is an album that's intention is to bridge the musical divide between standards, which for some critics have become forgotten compositions, and new works, which others say are not available. They are, in fact, but musicians such as Brad Mehldau have to seek them out, research the lyrics, and arrange them accordingly. In other words, the songs of Tin Pan Alley and Broadway had their jazzy style built into the composition. There was time, years before pop, when jazz was the most popular and important form of American music. But those days are gone. Jazz continues to prove itself with a new generation of highly educated musicians who seek out contemporary jazz tunes hiding within the music the kids are listening to. Redman and Mehldau have tapped into this new music and found some gems; it took some effort but it was worth the time. Walking Shadows is proof that a new generation of musicians is prepared to take the music further.